Premium gasoline is the best quality and most expensive. The definition of premium is something or someone of greater or superior quality. 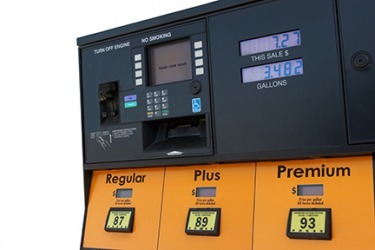 An example of premium used as an adjective is the phrase premium gasoline which means a gasoline with a higher octane rating. Premium is defined as a reward, or the amount of money that a person pays for insurance. An example of a premium is an end of the year bonus. An example of a premium is a monthly car insurance payment. "premium." YourDictionary, n.d. Web. 09 April 2019. <https://www.yourdictionary.com/premium>. Now Rare a fee paid for instruction in a trade, etc. An amount paid or required, often as an installment payment, for an insurance policy. A sum of money or bonus paid in addition to a regular price, salary, or other amount: Many people are willing to pay a premium to live near the ocean. An unusual or high value: Employers put a premium on honesty and hard work. Archaic Payment for training in a trade or profession. Latin praemium inducement, reward prae- pre- emere to take, buy ; see em- in Indo-European roots. Superior in quality; higher in price or value. Something offered at a reduced price as an inducement to buy something else. A bonus paid in addition to normal payments. The amount to be paid for an insurance policy. (finance) The amount by which a security's value exceeds its face value. Premia is much less common than premiums, accounting for less than 1% of total usage in US (COCA) and 4% in UK (BNC). A price that is above market prices. The amount that a policy holder pays an insurance company for coverage. In the options market, the cost of the option. In the futures market, an upward adjustment in price that is allowed for delivery of a commodity of a higher grade against a futures contract. Money paid to an insurer in exchange for coverage. Money paid by a buyer for an option to buy stock or property. A reward for a job after it has been done. The premium was again issued in 1899. It is the premium and the feast which tempt him. Indeed, a premium on armed insurrection is virtually granted.